Zinfandel wines are grown predominately in California, resulting in a zesty, deep red, often rustic wine that pairs amazingly well with spicy foods like pizza or pasta with red sauce. A DNA-match for the Croatian grape Crljenak Kaštelanski and the Italian Primitivo, Zinfandels from California have grown in popularity, with some obtaining cult status. Fortunately, there are many great buys on this daring red wine. Zinfandel has two main styles - thick, massively alcoholic wines with great zest and robust flavor, or lower alcohol versions with slightly more subtlety and a medium body. Both styles are classic of Zinfandels, and depend largely on the preferences and practices of the winemaker. Zinfandel is a bold, fruity, jammy wine. Many describe the deep purple wines as zippy, with lively spices that are alive with fruit flavors like red raspberry and blackberry aromas. The zip comes from spicy pepper aromas, and the wines often also yield subtle vanilla flavors characteristic of oak aging. In many cases, Zins are described as chewy, dense, and even rustic. Best is always subjective. These wines come from well-respected wineries with a long history of producing consistent Zinfandels. Many receive good to excellent ratings on a consistent basis from wine critics. Rosenblum Cellars out of Alameda, California, produces a gamut of fantastic Zinfandels. Frequently highly scored in mainstream wine publications, Rosenblum produces many different Zins at different price points including several falling at $25 or even less. Michael David Vineyards in Lodi, California, makes a perennial favorite: 7 Deadly Zins. The bottle itself is a good read with its humorous references to the 7 deadly sins but what's inside the bottle is nothing to laugh at. This wine is a blend of grapes from old vines in seven Lodi, CA vineyards, and the flavor is what you might expect from old vines-concentrated, rich, and that dark jam/brambly character. For under $20, 7 Deadly Zins Flies is tremendously popular, and you can find it in many grocery stores. Seghesio Family Vineyards comes from a family has a rich history with Zinfandel grapes in Sonoma County, California, and the heritage is still strong today with Ted and his cousin Peter Seghesio at the helm of the winery. This family planted Zin over a hundred years ago in the county and sold it to bulk producers via railroad car for decades. It was not until the mid 1980s that the newer generation began to rethink this practice and decided to use these phenomenal vineyard sites with century-old vines for themselves. Although this winery produces many wines over $35, there is one cheaper wine-the Sonoma Zinfandel. The Sonoma Zin is a collage of Northern Sonoma's vineyard landscape. While primarily estate grown, they purchase additional fruit from trusted growers to meet the demand for Zinfandel drinkers. This wine is not showy, but has nice balance of red raspberry with a hint of cinnamon and vanilla with a higher acidity to top it off, which makes this a great food wine. Renwood Winery boasts some of the oldest Zin vineyards in California. Located in Amador, Renwood produces some of the most concentrated and lush Zins available. 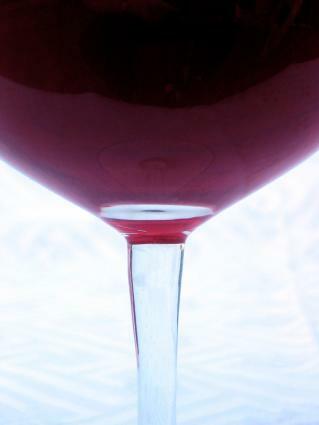 Cracked pepper and blackberry syrup coats the glass as you swirl these wines in your glass and give them a big whiff. While the Grand Pere and Grand Mere (French for grandfather and grandmother) are the high-end offering, the Old Vine is a great value at under $25. The Red Label wines also offer an extreme value at under $10 a bottle! Located at about 1,400 feet, the high elevation and cool evenings make for a great growing region for Zin. Ridge Vineyards was one of the pioneers in putting Zinfandel on the map in California. Winemaker Paul Draper has been there since the inception of the winery in 1967 as head winemaker, and he still is today. Needless to say that makes for a very consistent style of winemaking. His Zinfandels come from different areas around California, and the Sonoma County Three Valleys comes in under $25. While by no means is this list the end-all be-all of Zins under $25, it is a great starting place to explore these mid-priced gems. As always, ask your favorite wine shops for recommendations based on your price point you're looking for; they can always help you. Have fun discovering your favorite Zins!